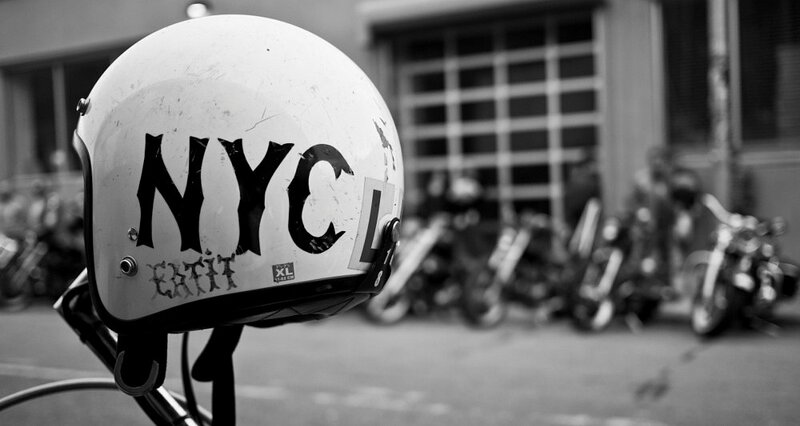 Just like all trends, the custom motorcycle scene is cyclical in nature. In the last 10 years, we have witnessed a resurgence in what are commonly referred to as choppers. I am not talking about the reality TV rolling advertisements of the 1990s, but the long, narrow machines that came out of the 1960s and 1970s. A number of major motorcycle shows catering to this style of machine have cropped up around the country, like Born-Free in California, Mama Tried in Wisconsin and Fuel Cleveland in Ohio. Only invited builders are allowed to display their motorcycles in these shows, and while this may sound a little draconian, it does have the advantage of ensuring that only the best machines are included and that all the machines fit the vision of the show’s producers. You don’t want a big wheel bagger displayed front and center at a custom chopper show. This long, lean Panhead was built by Prism Supply Co. for this year's Born-Free show. Photo by Panhead Jim. The other thing these shows have in common is that none are located on the East Coast. To remedy this situation, brothers Jake and Zach Hindes from Prism Supply Company, along with Dice Magazine, put together The Congregation Show, an invitational vintage motorcycle and hot rod event in what was originally a Ford factory located in downtown Charlotte, now known as Camp North End. This photo shows about half of the building. Look halfway down the side and you can just make out two people by the door. This place was massive. Photo by Panhead Jim. It’s worth taking a minute just to describe the venue and its interesting history. The brick building has large plate glass windows stretching from floor to ceiling and is literally the size of one city block. The interior is almost completely open and floored in wood — not traditional long planks but four-by-six-inch pieces installed with the end grain facing up. The factory produced Model As in the 1920s and 1930s, but switched to tanks when WWII broke out. Missiles were also made there and the curious wooden floor is said to have been key, as it did not produce any sparks if something was dropped. The windows were also painted over in order to keep spies from taking photos of our military operations inside the plant. It was definitely a cool place to host this type of event, with a lot more character and history than the typical convention center. Definitely the most radical machine on display. The hours that went into the metal work alone must have been staggering, except when compared to the time it took to paint. Photo by Panhead Jim. As I was lucky enough to be one of the invited builders, showing my 1933 Harley-Davidson VL, I was able to get into the venue early on Saturday and check things out before the crowds arrived. I might have to steal this idea. This Knucklehead is using a Panhead valve cover for a drip pan. Photo by Panhead Jim. As anyone with an old motorcycle can attest, the major issue with putting this many vintage machines inside one building is the high likelihood that some bikes will be leaking fuel. The fire marshal was not oblivious to this and required all batteries to be disconnected, gas caps to be taped over and gas tanks to be only a quarter full of fuel. Of course no amount of tape keeps my petcocks from leaking, but I decided it was best to keep that nugget of information to myself. 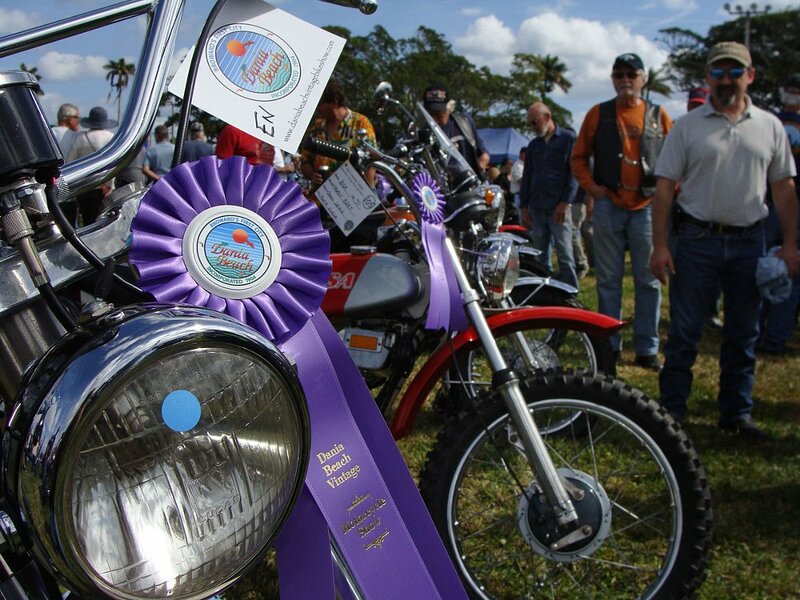 Billy Childress captured every motorcycle and rider participating in the show. Photo by Panhead Jim. Local North Carolina photographer Billy Childress was set up just inside the main entrance and took photos of every motorcycle and rider participating in the event. That included both shots of the rider with his or her motorcycle, as well as head shots. After riding three hours in the heat to get to the venue, I feel that my photo is probably just being kept for future blackmail opportunities. View down one side of the venue. Check out the odd wooden floor. Photo by Panhead Jim. Numerous volunteers helped park the motorcycles in three long rows, down two walls of the building, resulting in a giant L-shaped layout. With plenty of room available, the motorcycles were well spaced, so spectators could walk completely around each machine without having to squeeze past any neighboring motorcycles. 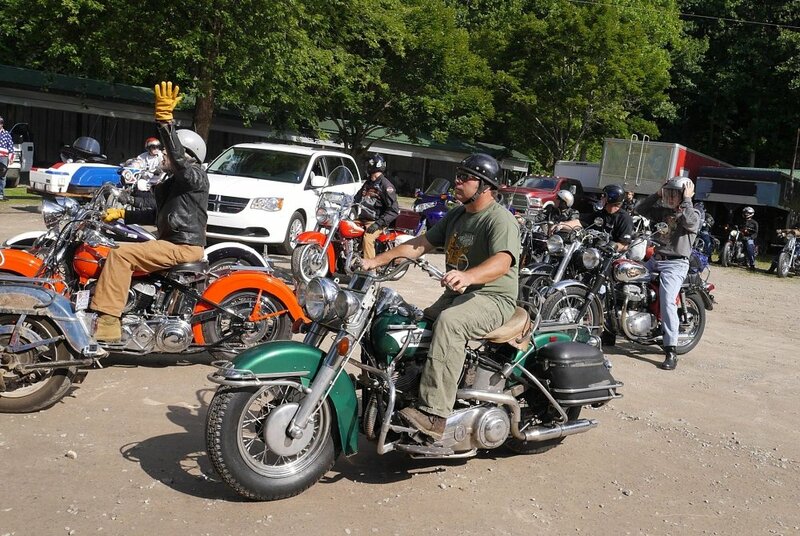 There were more than 100 motorcycles on display and 30 hot rods provided by the Iron Lords car club. I've seen a lot of failed attempts at building a custom Ironhead. You really have to get the proportions just right and this guy nailed it. Photo by Panhead Jim. Besides motorcycles and hot rods, there were a number of select vendors selling everything from shop rag shirts made by Godspeed Company to chopper art by Anthony Hicks. There was even a school bus parked inside that had been converted into a mobile tattoo studio and from what I could tell it stayed busy most of the afternoon. Also mixed in with the vendors were the guys from “Riders On The Norm,” a popular chopper podcast, who showed up with two full-size Chevy vans, as well as a pair of badass choppers. Probably my favorite motorcycle of the entire show. This panhead doesn't just look good, it looks like it would actually be fun and comfortable to ride. Photo by Panhead Jim. It's all in the details. Check out the twisted frame with the teal highlights along with the flames. Bold yet not overstated. Photo by Panhead Jim. 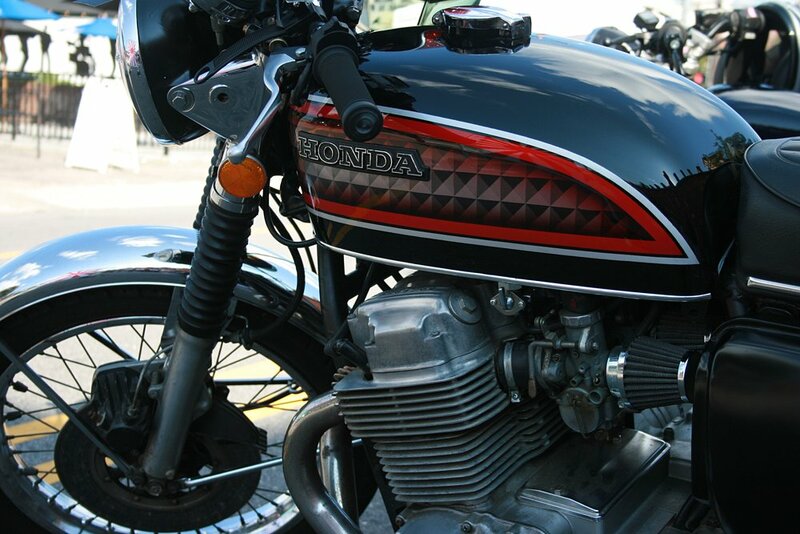 When the doors opened at 3 p.m., the parking lot quickly filled up with motorcycles, vans and hot rods as people from all across the East Coast made their way to the show. I talked to folks who had ridden in from as far away as Alabama and others who flew in from the West Coast just to take part in this inaugural event. Famed motorcycle photographer Michael Lichter was there and I did my best to emulate his relentless style of shooting photos for hours without pause. 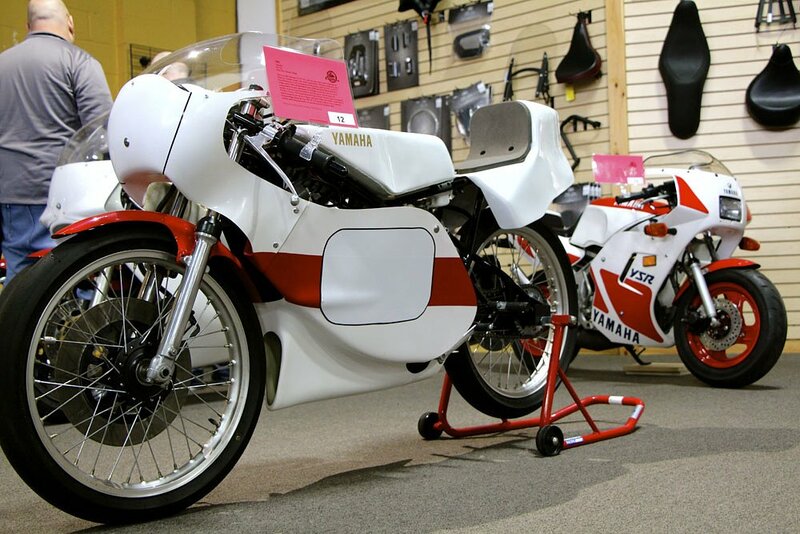 This WLA has left its military past behind and has been converted to a race bike by 76 Cycles. It will hit the beach in New Jersey for the second time this year as a participant in The Race of Gentlemen. Photo by Panhead Jim. One thing for sure was that a giant brick warehouse without any additional ventilation tends to get pretty hot after baking in the sun all day. Luckily, there was a beer garden located just outside, along with a couple food trucks, so there was the opportunity to cool off with a locally brewed beer or satisfy your hunger with a plate of pork BBQ. A few shade trees just behind the venue were a popular hangout most of the day. This chopper was ridden in from Alabama. No trailers for this guy. Photo by Panhead Jim. As the sun went down, the DJ gave way to a live band and the beer prices dropped 50 percent, which encouraged everyone to move outside for a sunset concert. Things officially wrapped up at 10 p.m., but for those ready for more there was an after party just a few miles up the road. Downtown Charlotte, North Carolina, made a great backdrop to this photo taken in the parking lot during the show. As you can see, all types of motorcycles showed up for this event. Photo by Panhead Jim. All told, more than 3,000 people attended the event, which is pretty impressive when you consider this was their first year and that it took place on a holiday weekend. 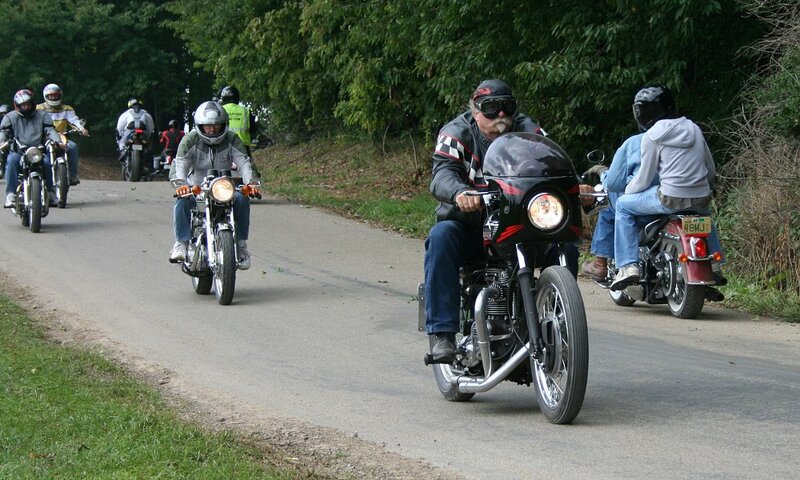 The caliber of the motorcycles was top-notch with a good mix of custom choppers and mostly stock vintage machines. The only motorcycle older than my 1933 was this 1920s JD-based custom. 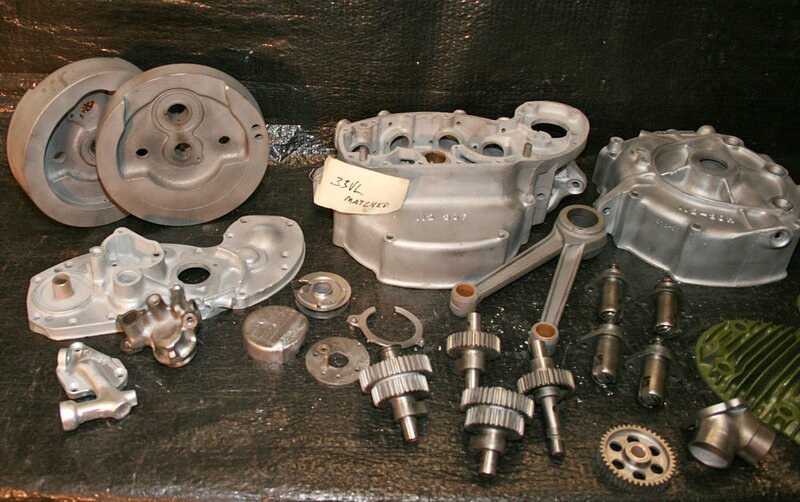 You can't beat an exposed valve train when it comes to cool nostalgia. Photo by Panhead Jim. There was no judging component to the event, which made for a much more relaxed atmosphere. I appreciated not feeling pressured to wipe off all the oil that had accumulated on my motorcycle during the ride down. The two things I heard most while walking around the venue were how awesome the motorcycles were and how much room was available to make this event even bigger next year. I hope Jake and Zach were listening because I, for one, would really like to come back next year with double the number of motorcycles and maybe a couple more hot rods.